The TV series of Power Rangers is always good fun, and the suits and story were usually pretty colourful and fun. A few seasons took a more serious side with the story, and even in the more light-hearted ones there were some serious moments. But no-one really expected those spandex suits and cheap effects to change to reflect that more serious tone. Here then, with the first in the new Rangers films, a more serious tone is presented with the effects and suits to match. It takes time to get to the good stuff, and if you really want to start questioning stuff that happens, this isn’t going to fit your tastes. With Rangers it is always best to suspend logical reasoning regarding its events, even if some things are sort of logical. As such, the film itself begins 65,000 years ago, with the original Rangers. Zordon is the only Ranger left on a war-torn environment, and he calls in a strike to end the conflict. In the present day, we slowly get introduced to the new team, with most focus placed on Jason to begin. Billy and Jason strike up a friendship, and that night the two head off to the mines. Kimberly, Zack, and Trini are there as well, and the power coins are revealed. This film essentially tells how this team of misfits bond together, and I feel it does a good job of that. It’s a more mature origin story, with some obvious issues it deals with for the main cast, who do a good job of portraying those emotions. In context of the film, I do feel we don’t get much of either Zack or Trini until the middle act, where the bonding between the group really starts. I can understand where that comes into it, since these are the more outcast characters, but it still would have been good to get a bit more depth to them early on. Alpha and Zordon are used as was expected, and even gave Zordon a bit of a selfish need until he realised his time is done. As for Rita… She was a bit more outside of what I expected. How she came about and grew in power, with the way it was shot, gave a more creepy side to the character. At full strength, she really played that up. As for the story itself, it was more about those character interactions, I felt. It gives a real feel as to how the characters see each other, and their reactions are believable to the situations they are in. At first they are hesitant to accept the powers and the responsibility, just as in the Mighty Morphin' TV series, but here it is more played up. The bond between the group is what allows them to earn their powers, and until they have that bond, they cannot morph. And while they do start training, they don't exactly bond. When it comes to the action, Rita is reconstructing Goldar and intends to pull the Zeo Crystal supporting all life on Earth from where it is hidden. 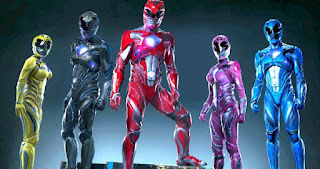 I liked watching the Rangers grow into that team, and in a way it reminded me of Dino Thunder. A group of teens get in trouble, are grouped together in some way, find the power, and have to bond as a team to succeed. Since this film is playing on the original settings, I wouldn't suggest anything as outlandish such as it should have been three Rangers to start. I felt it was a well constructed film. 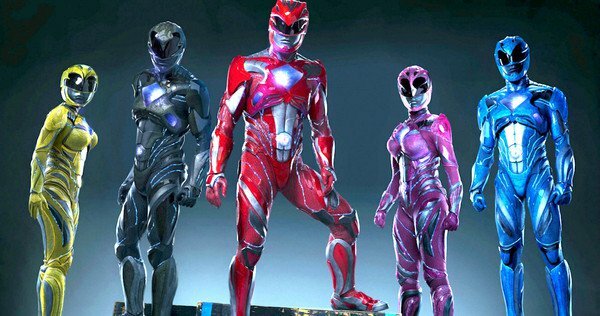 There's serious and more light-hearted moments, with references to numerous films, and even a blast of the original theme's chorus as the Rangers and their zords charge into battle. I will say though, and this will be coming up in my Look Inside the Morphing Grid series when I get to the era, I felt Disney had a better understanding of how to make Rangers work. Most of the film feels like it suits the more serious tone, and the lighter toned scenes are a breather from that, but in no way do they feel... fully interwoven with each other. Perhaps it's just preference, and there'll be more detail when I cover that era, but for here I'll just say that the lighter scenes don't exactly work in places, and occasionally feel timed wrong. The effects are well done, with the zords and enemies feeling mostly a part of the same world. Just don't go expecting the sort of explosions you'd get in the TV series, as the fights are more grounded. Which is also an interesting point to bring up. The final climax of the film is the fight that is usually expected in any Power Rangers episode. Battles against foot soldiers and monsters, then a zord fight. The fight against those foot soldiers is executed well enough for the film, with the first wave outside the mine. It's a more standard movie affair than the TV series though, which usually holds back the larger groups of foot soldiers until the finale, as the first fight overwhelms them, if not for using the zords. And while I do say it's best not to think about the logic of Rangers, this is the one point I couldn't help but question it. Working as a team was the whole point of the film, and while that gets represented in the zord fight, it doesn't get much look in with the ground fight. Said ground fight barely lasts any time at all before the zords are pulled out to annihilate the enemy. Said ground fight, in real terms, is five super-powered teenagers in armour against a bunch of rock monsters that fall easily. Yet all appears lost almost too quickly. I think that maybe the film wanted to use the zords more, as those things really are good looking. The fight with the zords is a lot better, and since the zord fight immediately follows the ground fight, enjoyment isn't really affected too much. The zord fight feels much like in the TV series, with each Ranger utilising their particular zord as a way to fight off the forces of evil and stop Goldar from getting the Zeo Crystal. It's effective, and good to watch, and when all seems lost, the Megazord is formed. Either through the bond the Rangers are sharing at that time or due to a fuse owing to the extreme heat the zords have placed on them. I'd say the first, since teamwork is the theme of the film and Power Rangers as a whole. As to what final verdict I'd give the film... I liked it, and it certainly gave a more mature spin on the lore of the Rangers series. Which is something I'd like to see expanded on with the future films. As for this film, it does a good job of introducing the concept of Rangers, so even if you haven't been a fan of the series you'd still be able to enjoy it. But while it is good, and it serves its purpose, I can't help but feel Disney did it better with the series, so a film under their control could be better than this one is. If we look at the films as a series, then this was just the first episode. And since it was the first episode, we should expect greater things for the series in the future.